Probably the most asked question. How to do the rainbow text / ombre text effect in Insta Story? You know when you see an Insta Story and it is the same as the previous one? Except that there is more text or emojis on it? It looks like a cool animation. Once you have prepared your Stories, post them in order. You can change the color of your text, text background or even Insta Story background to any color you want. There are new fonts on Insta Story. One of them is the typewriter font. You can add a background around the typewriter text. And you can also change the color of that background. A lot of people wonder how we change the background color. Then you can write text on top of it. You can do the same thing as above, but with the transparent pen. It is the second pen tool on top of your screen. The trick is to take a photo you like and add a transparent background on top. It gives a cool effect to your Insta Story. 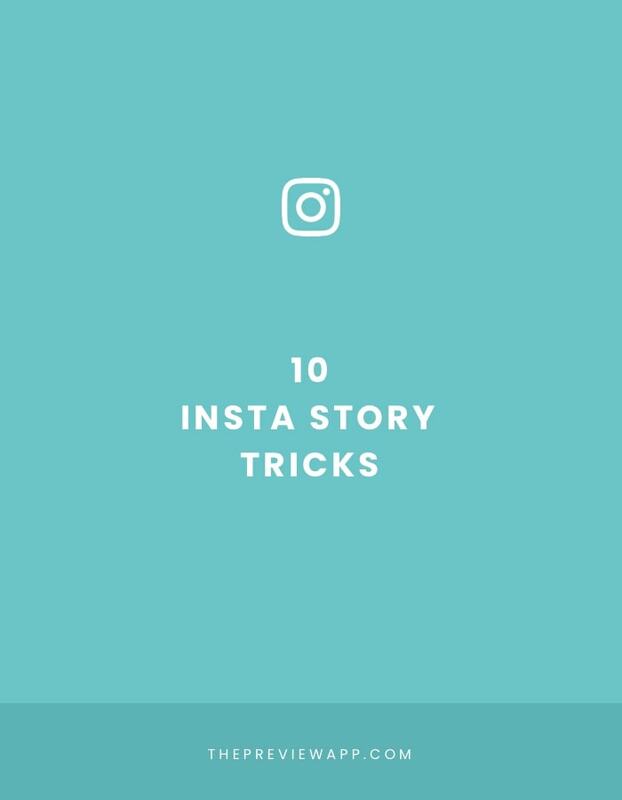 Now that you know these two Insta Story tricks with the background colors, you can have a fun with them. A cool thing to do is to use the eraser tool. Another highly requested tutorial: how do we make a photo look like a pop-up card? It takes a little bit of finger gymnastics to take the screenshot, but once you train a bit it’s very easy. We use an app called Canva. It is very easy and quick to use. It has a bunch of fonts and icons. Here is our step-by-step tutorial. You will see a lot of Instagram-related GIFs. Scroll to find the Instagram hearts. And that’s it! I hope you enjoyed this blog post. 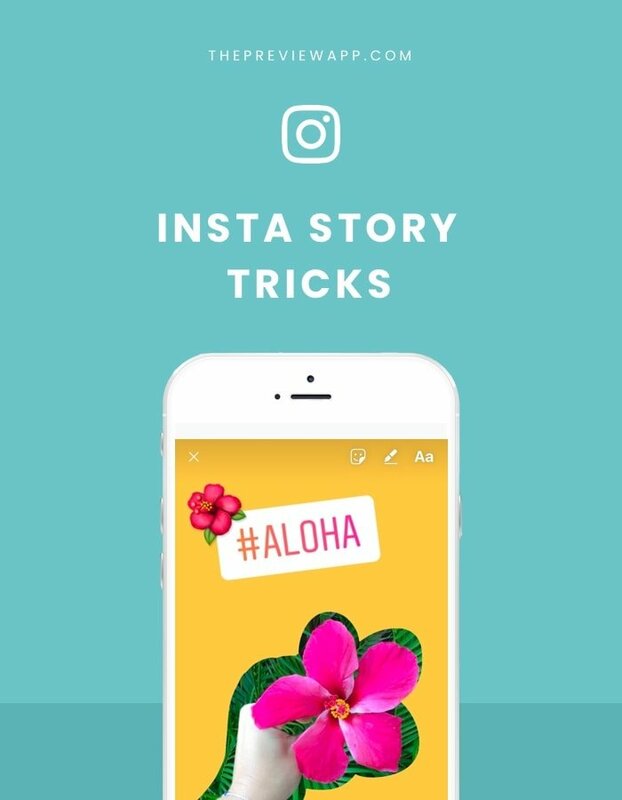 Tag us in your Insta Stories if you try any of these tricks (@preview.app). We’d love to see your creations. Are there any other tricks you would like us to add?